PLAINSBORO, NEW JERSEY (May 29, 2018) – Nine years ago, Kurt, Tricia and Katelyn Baker of Plainsboro lost their son/brother to suicide and soon after embarked on a mission to educate the public about mental health, related disorders and suicide prevention. They founded Attitudes In Reverse® (AIR™) to achieve this goal. 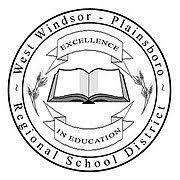 Also nine years ago, the Bakers met David Aderhold, EdD, West Windsor-Plainsboro (WW-P) Regional School District Superintendent (at that time, the district’s new Deputy Superintendent). They have since built a strong partnership to improve youths’ mental health and save their lives. “I’ve seen the organization grow in its impact and reach, and their refinement of the presentation over time. I can’t understate the importance of the work. People personally touched by tragedy willing to speak out – this is incredibly courageous. It lends a face to trauma and tragedy. When we talk about suicide, it’s often from a distance. The Bakers and others have been courageous in sharing their stories. It gives a deeper understanding of the importance of the issue and their work,” Dr. Aderhold added. “AIR as an organization is doing tremendous work and I hope to continue to see their expansion. There’s a gap in the field that they stepped into and I hope others see that. Their impact will grow. I strongly encourage other schools and districts to learn about them,” Dr. Aderhold said. “Dr. Aderhold is a truly inspirational leader and we are honored to have him as one of our strongest supporters,” said Tricia Baker. In fact, the Bakers selected Dr. Aderhold as Honorary Chair of their recent Seventh Annual Miki & Friends 5K Walk & Run event, which is geared towards families, including their dogs, and builds awareness about mental health and AIR’s mission and programs. “Being named Honorary Chair of the walk event was truly an honor. After attending the event and gaining a better understanding of it, I walked away with a sense of pride in the partnership that AIR and the school district have established and the work we’re doing with students and staff, especially around suicide prevention and self-care. It validates and recognizes the work and inspires you to keep moving forward,” Dr. Aderhold said. Partners on this initiative are superintendents from Hamilton and Hopewell, AIR, the Mercer County chapter of the National Alliance on Mental Illness (NAMI), Effective School Solutions (ESS), the Traumatic Loss Coalition, The College of New Jersey and Rider University. Dr. Aderhold continues to plan for more services and supports in the future. “The district is hiring two full-time mental health clinicians to be on staff next year. They will provide therapeutic assessments on site. Our students will have access to medical facilities if needed and ongoing counseling until a facility becomes available. The clinicians will also help parents navigate the system and the insurance world,” he said. To help strengthen parents’ understanding of mental health and how they can support their children, the WW-P district created a series of evening programs called Parent University.